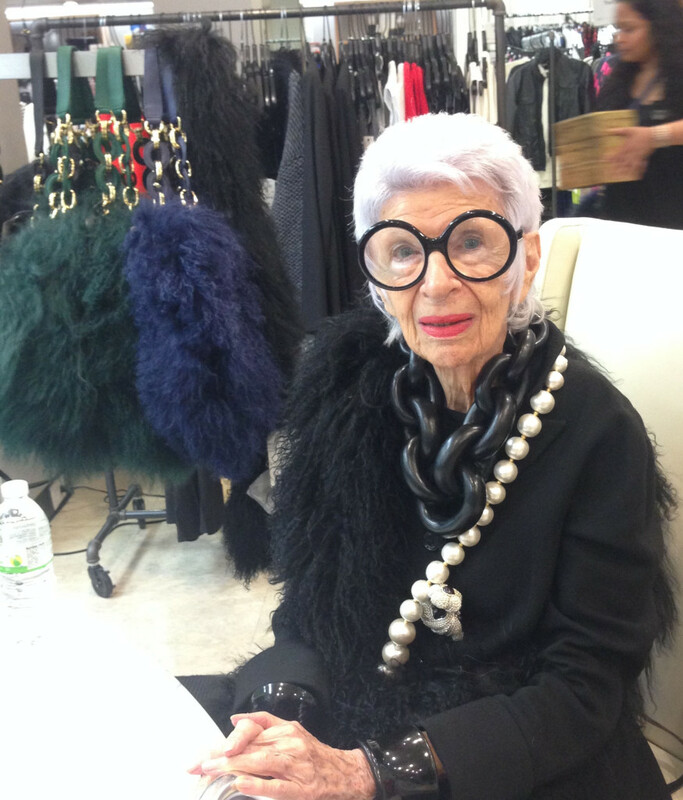 Fashion icon Iris Apfel is no dodo. 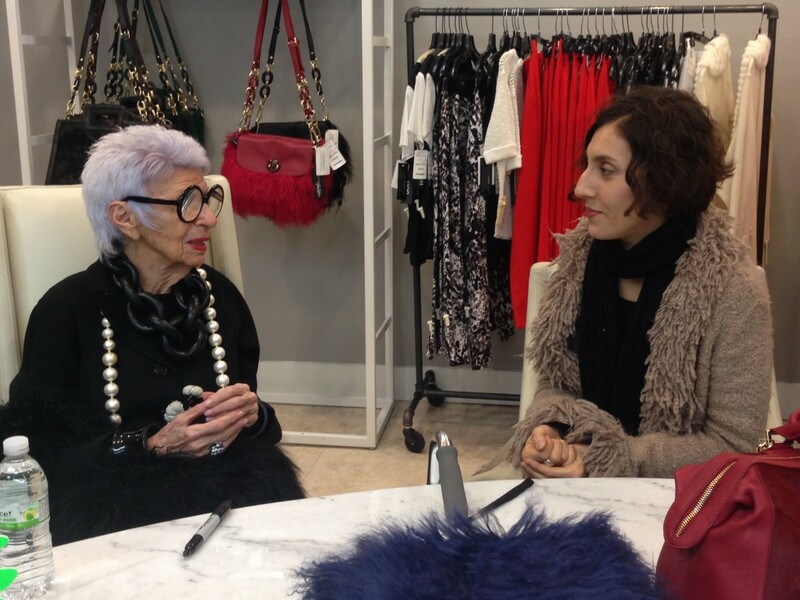 Although her year-old handbag collection is called “Extinctions by Iris Apfel” – a play on the 92-year-old’s age, the term “distinctions,” with the branded horn-like dodo logo fob attached to each style – the “Rare Bird of Fashion,” as this style fixture is known, has smartly set her sites on a youthful customer with leather, calf hair, snakeskin and Mongolian lamb bags in a range of silhouettes colored in saturated hues like orange, cobalt and garnet, with black a staple, of course, as well as a deep Kelly green. At a personal appearance last week kicking off the Chelsea Loehmann’s “Girls Night Out,” week of family and friends’ discounts, the former interior designer autographed the signature turquoise linings of a select number of “Extinctions” bags being bought as holiday gifts, as well as those for individual use. 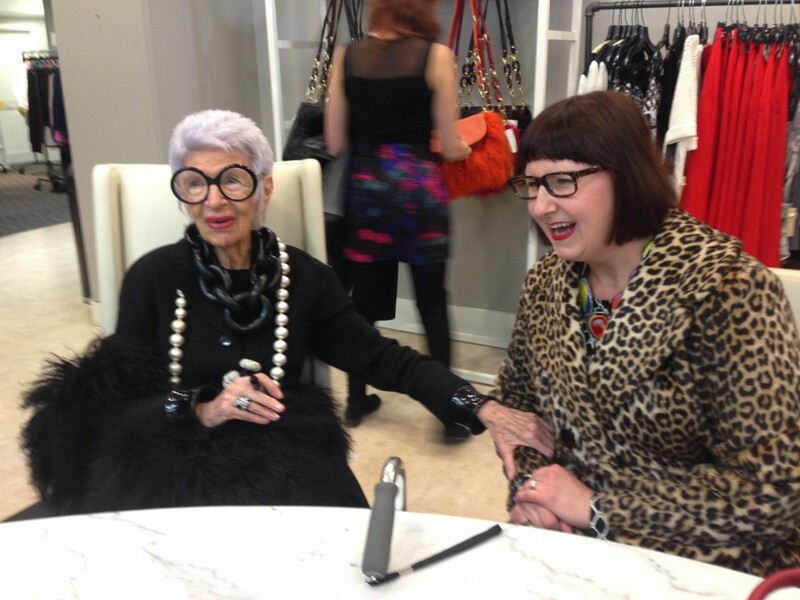 The inimitable Iris, dressed in black and white styled with her signature oversized accessories, wore the long black Mongolian cross-body style, which doubled as a boa slung across her neck. 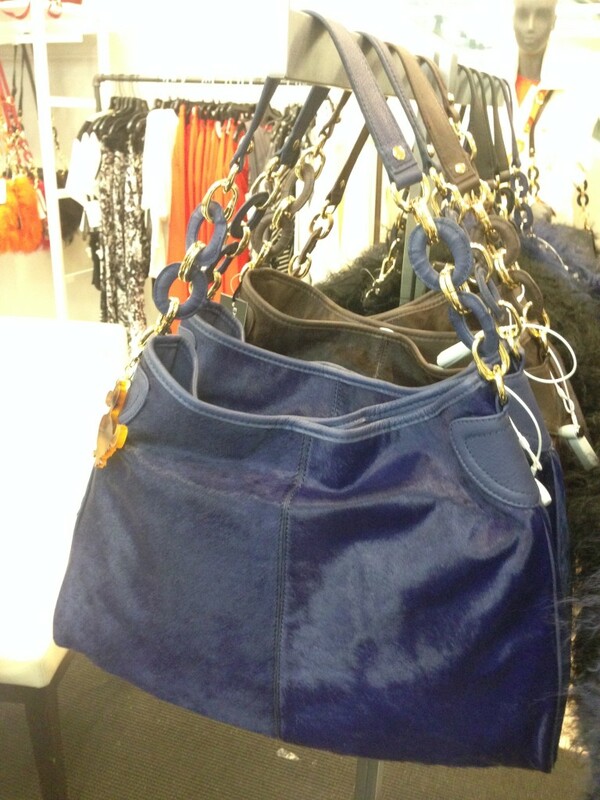 A Kelly green was snagged by our friend, Donna, who looked born to carry the bag. With prices from $199-$249 (normally $370-$640 at Bendel’s and other retail venues) available for a further 25% off during Friends & Family discount week (now through December 11th), you’d be a dodo not to get Santa to Loehmann’s now!